Here is a quiet scene at outside St Michael's Church at North Merchiston. This postcard was postcard in 1911 or 1912. 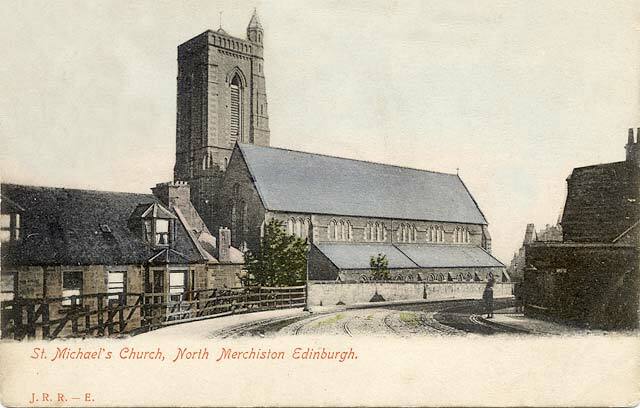 It is one of several postcards of Edinburgh churches published by J R Russell.